Do You Sell Used Marina Fork Lifts? Yes, there is a used price list on this site. Do You sell New Fork lifts? 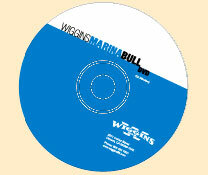 Yes, We sell Wiggins Marina Bull forklifts Nationwide. What capacity forklifts are available? 6500lbs @ 96″ load center up to 42000 lbs capacity @ 96″ load center. What type of Engines do these forklifts have? Propane and Diesel Cummins Perkins Deutz Diesels. Do the forks move hydraulically? Yes, also available with swing out forks and side shifting fork positioner. How long are the forks? Do the used trucks have a warranty? No, Sold as is with no warranty. How thick does the concrete floor have to be? Wheel loading information is available from Wiggins Lift Truck co.
Do you sell Buildings and Racks for boat storage? We are affiliated with many top of the line companies that supply this service. Do you have machines available that are not on the used truck list? Yes, please submit requests here. Where are the Wiggins forklifts manufactured? Oxnard CA Have Manufactured Marina Forklifts since 1972.
Who will deliver the NEW forklift to my marina? Ross Gregg delivers Wiggins usually with a service technician. Is there maintenance Training available? Yes, Ross Gregg will thoroughly train your staff on the proper maintenance of your forklift.